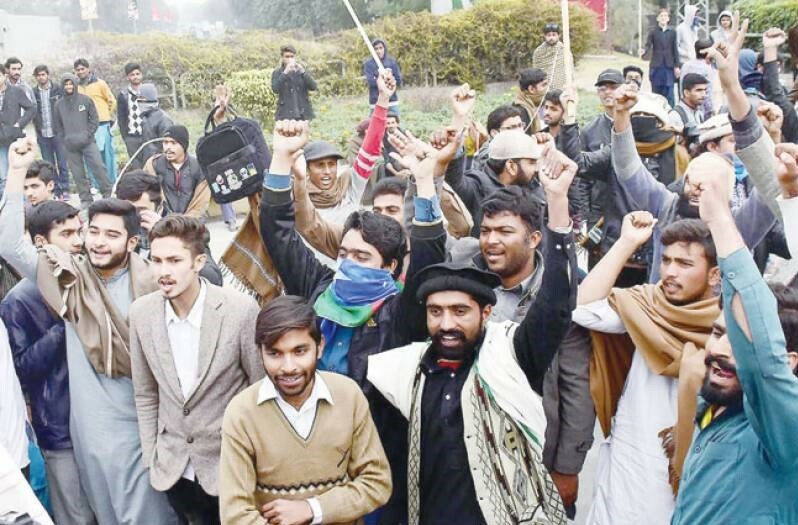 LAHORE: As the incident of the clashes between the activists of the Islami Jamiat Talaba (IJT) and students of Baloch and Pashtun unions of Punjab University (PU) echoed in the Senate the other day, the Balochistan government intervened on Saturday to resolve the matter amicably. As per the details, Balochistan Home Minister Mir Sarfraz Bugti visited the Punjab University on Saturday on the directives of the Balochistan chief minister and had a detailed meeting with the university administration over the clashes between two student unions that took place on Monday and Tuesday earlier this week. Over two-hundred students were arrested after the clashes and 196 were presented before the Anti-Terrorism Court (ATC) on Wednesday. Most of them were students from Balochistan who were enrolled in the PU on the quota reserved for the province. “The Balochistan card will no more be used as there is only one card and that is the Pakistan card,” Bugti said while speaking to the media at the Punjab University. He expressed gratitude to the Punjab chief minister for awarding scholarships to the students of Balochistan to come and study in Punjab. 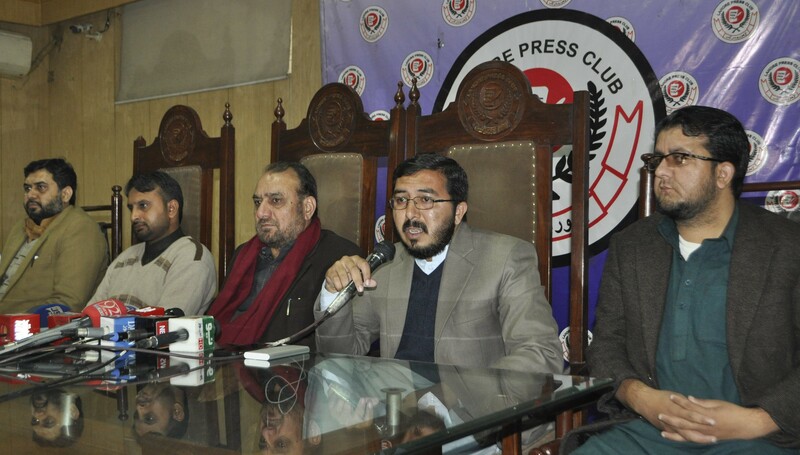 He further said that the slogans of liberation and hoisting the flags of Afghanistan would not be tolerated in the Punjab University as they have successfully uprooted this evil from all the universities of Balochistan and now the Punjab government must take the bitter pill of dismantling the dirty politics from the academic institutions by banning all the student unions. “I am not here to take pardon for those miscreants responsible for the clashes in the PU as they must be treated with iron hands. However, I request the Punjab government and the administration of the varsity not to take any action against the innocent students,” he said. Punjab Minister for Higher Education Department Raza Ali Gillani also chaired a meeting in the Punjab University on Saturday and said that the students of Balochistan will only have to study in the campuses of Punjab and they will no more be allowed to do politics in the educational institutions. He was of the view that an action would be taken across the board and the students hailing from Punjab would also be booked. The higher education minister said that the students of Balochistan would get admissions in Punjab only on the recommendations of the Balochistan government. A source privy to the developments of Saturday in the Punjab University told Pakistan Today that the Balochistan home minister had earlier made up his mind to wholeheartedly support the Baloch students, but he later changed his mind after watching the CCTV footages of the incident of clashes and realised that some Baloch students were also involved in the episode that took place earlier this week. The source also informed that it was earlier decided that both the ministers of Punjab and Balochistan would hold a joint press conference, but the plan was discarded at the eleventh hour. Meanwhile, CM Punjab Shehbaz Sharif also chaired a high-level meeting on the law and order situation of the Punjab University on Saturday and it was his second meeting over the issue within the ongoing week. CM Shehbaz instructed the concerned authorities to take stern actions against those who disturbed the peaceful environment of the country’s largest public sector university. He said that an action must be taken across the board without any political discrimination. PU Vice Chancellor Zakria Zakar, Punjab Higher Education Commission Chairman Dr Nizam Uddin and Higher Education Minister Raza Ali Gillani also attended the meeting. Meanwhile, Jamaat-e-Islami Information Secretary Ammer-ul-Azeem flanked by the leadership of Islami Jamiat Talaba (IJT), held a press conference at the Lahore Press Club on Saturday and said that some foreign intelligence agencies want to disrupt the peace of Lahore through some anti-state elements of Balochistan who are enrolled in the Punjab University. He said that these Baloch and Pashtun students are doing nefarious activities that are against the ideology of Pakistan and the national integrity. He also criticised some Senators including Usman Khan Kakar of the Pashtunkhwa Milli Awami Party and Aitzaz Ahsan of the Pakistan People’s Party who delivered speeches against the IJT during the Senate session the other day. “We have solid proofs that the activists of IJT are innocent as they were not involved in the clashes that erupted in the PU and I request the Senate chairman to constitute a committee to probe the incident. We are always ready to cooperate with the committee,” he said. He also criticised the Higher Education Minister Raza Ali Gillani and said that the minister is rigorously interfering in the internal matters of the Punjab University that is an autonomous body having its own Senate, Academic Council and Syndicate. He said that 55 activists of the IJT are currently in police lockups. Deputy Information Secretary of the Jamaat-e-Islami Qaiser Sharif and IJT Assistant Secretary General Hafiz Muhammad Idrees were also present on the occasion. 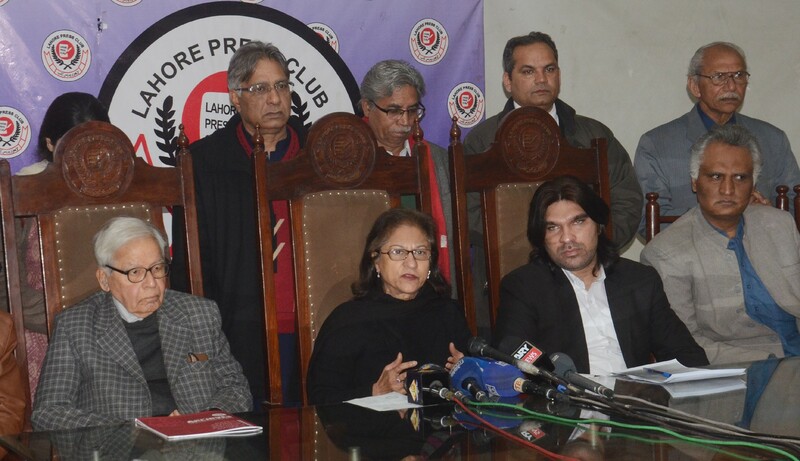 Moreover, former president of Supreme Court Bar Association Asma Jahangir on Saturday demanded an immediate release of all those arrested by the Punjab government in the aftermath of the clashes. “Over 190 families are under acute stress because of the future of their children who have been booked under the sections of terrorism. They are students, not terrorists,” she said while speaking to the media on Saturday along with several Pashtun and Baloch students. She also demanded an immediate removal of the PU vice chancellor while saying that his remarks of sending the Baloch students ‘back to mountains’ are highly condemnable. She also demanded a judicial commission to probe the incidents of the clashes in the PU. 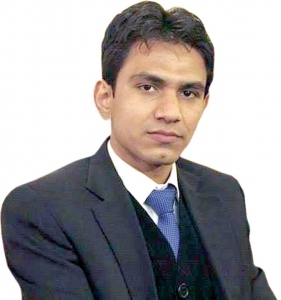 Human Rights activist IA Rehman was also present on the occasion and said that it is highly regrettable that sections of terrorism were charged against the students. He also demanded a legislation for the student unions in educational institutions. Meanwhile, a PU spokesperson said in a statement that the vice chancellor has not made any such statement at any forum that the students would be sent to the mountains. The PU spokesperson said that Asma Jahangir is a renowned human rights activist and a well-respected senior lawyer of the country and she is requested not to believe in rumors. He said that the PU administration assures that action would be taken against the culprits only and biased attitude towards any group would not be adopted by the administration. Meanwhile, it has been learnt reliably that the sections of terrorism would be withdrawn from the FIRs and only a disciplinary action would be taken by the university administration against the miscreants.